The decision to adopt a resource management approach in the recent government-approved Waste Management Plan for the Maltese islands 2014-2020 was taken by design. The ultimate objective is to achieve a zero waste scenario whereby waste can be used again, thus moving towards a society with minimal waste. In other EU countries which are known for their best practices, such as Denmark, the credo was always that of incinerating and depositing less waste while becoming better at extracting the value and resources embedded in it. We are proud to say that a bottom-up approach was adopted during a consultation period that spanned over 16 weeks. While the technical team responsible for the report identified the main issues, the first draft of the consultation document was mainly based on the feedback that we obtained from the major stakeholders. On the eve of the publication of the plan we convened another meeting for all stakeholders who had given us their contribution and suggestions in order to provide them with a brief about the main thrust of the final plan. The issues paper was originally launched in July 2013. From the feedback obtained we were able to elicit the potential solutions that are now going to be adopted to address the identified issues. At a later stage, interested parties were also given the opportunity to engage in consultative meetings to discuss both their own as well as the government’s proposals. The ultimate aim of the plan is to increase prevention, reuse, recycling and recovery in waste management. For this to succeed the whole process requires a change in population habits, waste volumes generated, waste collection practices, waste infrastructure and output markets. Malta’s high population density, limited land space and lack of economies of scale coupled with the effects of our climatic conditions, will no doubt prove to be challenging when we try to achieve this objective. The plan presents a roadmap on the reform of the existing collection system which has been developed in consultation with the Secretariat for Local Government following discussions with the Locals Councils’ Association and a special consultation session for local councils. We also took on board the need to align the plan to the needs of small and medium-sized businesses in consultation with the ministry responsible for the economy. Working in sync with these two ministries as well as the Ministry of Finance will be pivotal for the success or otherwise of the plan. We, nevertheless, intend to avoid a ‘big bang’ approach when it comes to radical changes that could potentially jolt the system. This time round we have opted for a waste management plan and strategy combined with a waste prevention plan. This fits perfectly with the maxims laid down by the EU itself. Our waste minimisation plan hinges upon heightening the awareness of the need to reduce waste arising through appropriate behavioural changes, the reduction of municipal solid waste volumes, reducing food waste, increasing green public procurement in waste management, tackling in more detail the issue of promotional and unaddressed mail, as well as undertaking efforts to limit construction and demolition waste. The plan recognises the need to meet a series of targets that have been long laid down by the EU. We need to look at the recycling of paper, plastics, metal and glass from households. The acceptable levels of biodegradable municipal waste that we will be allowed to landfill. The desired recovery of construction and demolition waste. 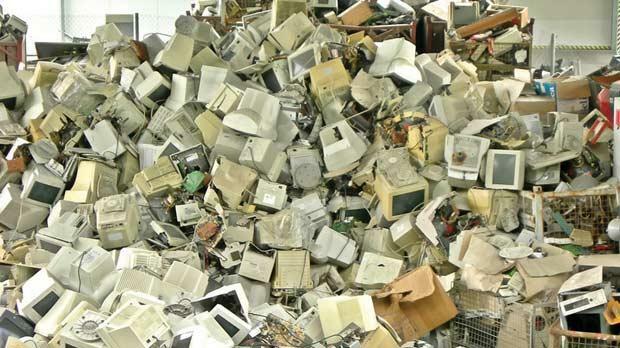 The collection of a percentage of the average weight of electrical and electronic equipment placed on the national market. Collection rates for waste from portable batteries and the reuse and recovering of an average weight per vehicle per year. The list goes on. Any restructuring of our methods and practices will need to be well on track by 2015 – aided and abetted by a robust education, information and communications campaign – in order to coincide with the completion of the Malta North MBT project that was approved by MEPA and is EU co-financed. Among our objectives are the introduction of a third collection of clear organic waste to improve the performance of our MBT plants, as well as to improve the quality of waste to be directed to the Sant’ Antnin Waste Facility through the piloting of separate collections of biodegredable municipal waste in the SE region. We need to also regularise the position of those commercial entities that are obliged to have their own waste carrier but most of whom have to date ridden on the local council collection systems to the detriment of public finances. A tall order one may claim. However, it is not our intention to keep this plan relegated to a mere wish list. The same applies to our Budget 2014 commitment to review the eco-contribution legislative process to make it more conducive to business, reduce the administrative burden and encourage the setting up of more schemes. A waste management stakeholders group will be set up to regularly brief and obtain feedback from interested stakeholders on the proposals being contemplated prior to the implementation stage. We are confident that we can improve our overall national performance given the public commitment evident so far. Leo Brincat is the Minister for Sustainable Development, the Environment and Climate Change.